Spring is just around the corner and I found a really cute wardrobe staple. It's really a versatile top, it can be worn alone or topped by a cardigan for a completely different look. It comes in an array of colors and can be dressed up or dressed down. 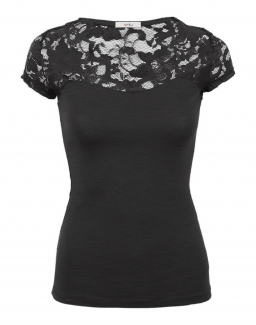 Women's Floral Lace Top has beautiful lace detail front and back. It's lightweight, made from 95% cotton and 5% spandex, so there's just enough stretch and it hugs your curves. Wear it with a skirt, jeans,shorts, it's that versatile. I'd like to have one in every color for my spring and summer outfits. Speaking of spring and summer, BBQ and cookout weather is right around the corner. I received the Kitchen Premium Tool Set. 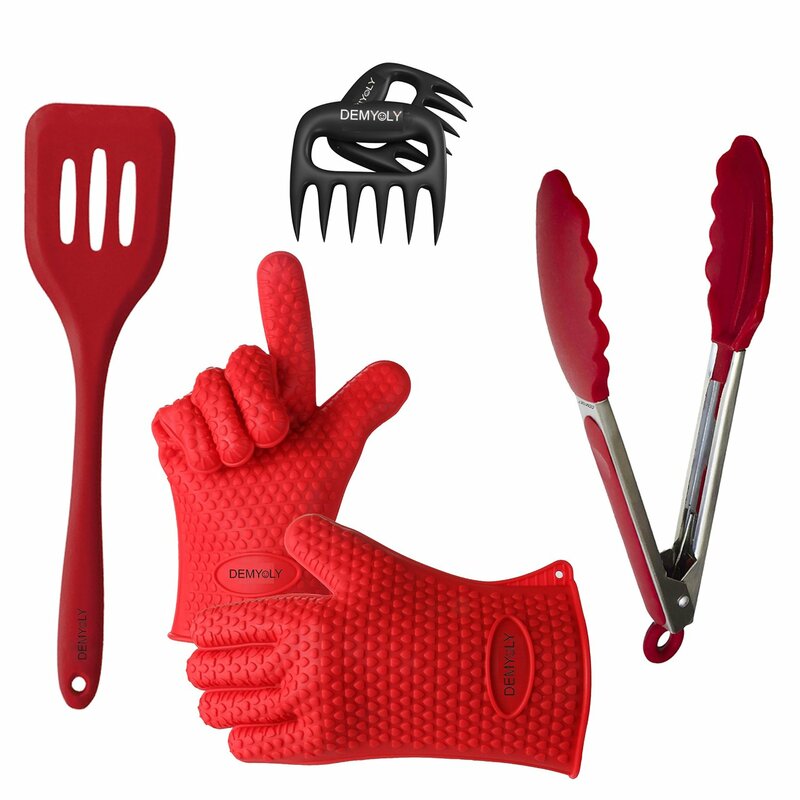 This is a nice set, it comes with a pair of silicone gloves that protect your hands up to 425* F and are textured on both sides to ensure a firm grip on pans and utensils , keeping you safe from painful burns. Also comes with silicone dipped tongs and spatula and nylon meat claws. It can all be used for BBQ as well as any type of cooking. I love having cookouts and picnics with friends and family, and this tool set makes it easier and safer.